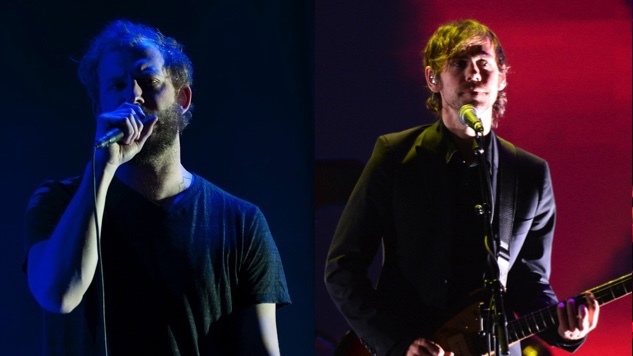 The National’s Aaron and Bryce Dessner, along with Justin Vernon of Bon Iver, recently launched the beta version of their new streaming site, PEOPLE, named for their art collective of the same name, which promises an artist-focused platform aimed at fostering creativity. Aaron Dessner and Vernon have also revived their collaborative band, Big Red Machine, and four songs from the project are already streaming on PEOPLE. Their 10-song LP will debut in segments via PEOPLE throughout the summer, Vernon revealed in an interview with The Creative Independent. “We have a 10-song record that we’ll be spraying out throughout the rest of the summer,” Vernon said. Bryce Dessner also revealed in a Creative Independent conversation plans to release music from The Long Count, the Dessner brothers’ 2009 project with National frontman Matt Berninger, Kelley and Kim Deal, and My Brightest Diamond’s Shara Worden, via PEOPLE. There are no official release dates yet for the Big Red Machine album, but Vernon did hint at a vinyl release. PEOPLE will officially launch in August in tandem with a week-long artist residency in Berlin. The PEOPLE collective was initiated in 2016 and now boasts over 150 members. Both Bon Iver and The National are adept at creating their own brands of moody, thought-provoking music, so their forthcoming collaboration will no doubt land with an emotional—as well as an artistic—punch. The PEOPLE website is home to the grooviest rainbow you’ll see this side of Pride. Head to the platform to browse the music, then stick around for the ‘bow. Catch Bon Iver and The National performances from the Paste vault below.